Learn why burning fossil fuels can cause our climate to change and how kids can help slow Earth’s warming. Fossil fuels are made from ancient (millions of years old) plants and animals that are buried hundreds and even thousands of feet deep into our Earth. These fuels were once alive! Oil and natural gas were created from organisms that lived in the water and were buried under oceans or rivers. Heat, pressure, and bacteria combined to compress and “cook” the organic material under layers of silt. In most areas, a thick liquid called oil formed first but in deeper hot regions underground the cooking process continued until natural gas was formed. Coal was formed from dead trees, ferns and other plants that lived 300 to 400 million years ago, even before dinosaurs. How do we use fossil fuel energy? Do they hurt Earth? 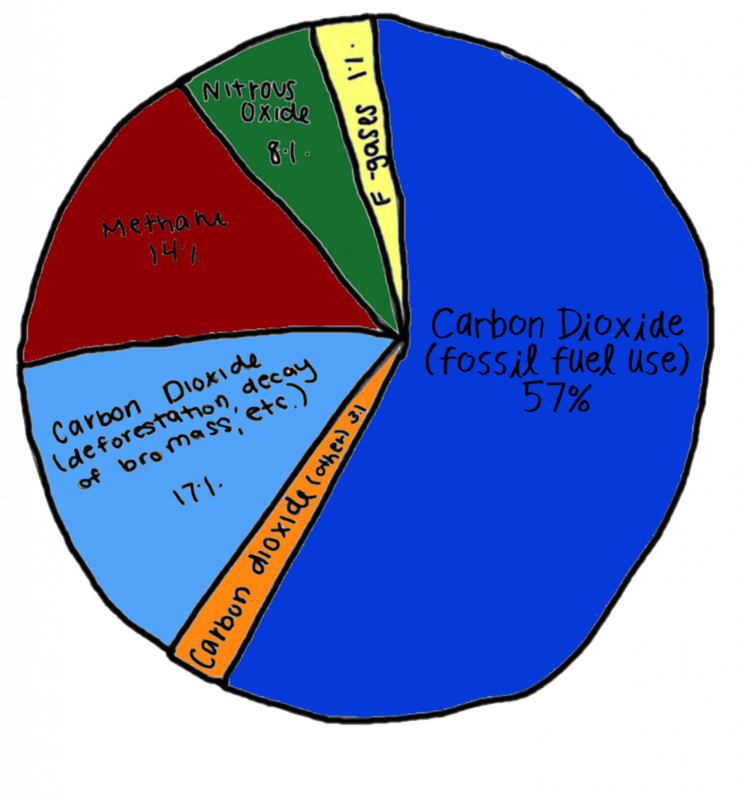 Right now most of our energy used to run trucks, cars, and factories, heat or cool our buildings is fossil fuel energy. As of 2013 people on Earth are using over 90 million barrels of oil each day. This has been increasing every year. Below are examples of how using fossil energy hurts Earth’s land, air, water and living creatures. 1. To remove fossil fuel energy from Earth, we have to drill, mine or frack (break) the Earth. Next, we have to refine (make ready) the energy so that we can use it in our cars, factories and more. These activities can harm our planet by polluting our land, air, and water. 2. Next, we have to move this coal, oil or gas to where we need to use it like to gas stations or power plants. This means using trains and trucks that can spill, explode or crash. Pipelines can leak into earth or water. Coal has to be dug out of deep mines and that can be dangerous. Kids Can Help Burn Fewer Fossil Fuels! To help the Earth, some things a kid can do alone but some things they should do with an adult. Talk with an adult like your teacher or your parent and decide together what you will do to help slow the C02 that comes from burning fossil fuels. Start by printing out this Tune Up the Earth Challange. Then work together to complete listed items on the chart and below. 1. Be sure you have the right amount of air in your family’s car tires. It’s really hard to ride a bike when the tires are low. It takes a lot more of your energy. The same goes when car tires are low. It takes more gas to drive it. Keep tires filled with their recommended amount of air. The car will burn less gas. 2. Remind adults to keep their cars tuned up. The cars will create less pollution and can use less gas. 3. Walk and bike to school or to see your friends whenever possible and safe. 4. Turn off the lights in your home and bedroom. 5. With adult permission, turn up the AC in summer and turn down the heat in the winter. 6. Talk with the school principal and get permission to start a “No Idling Campaign” for buses. Idling uses lots of fossil fuel! 7. Recycle, compost, and learn how and why in Teaching Grownups. 8. 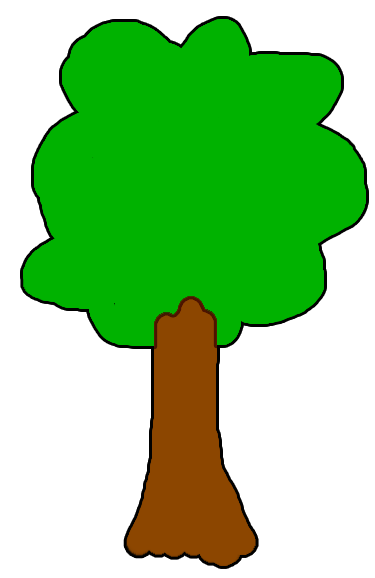 Plant trees and/or create a backyard habitat. 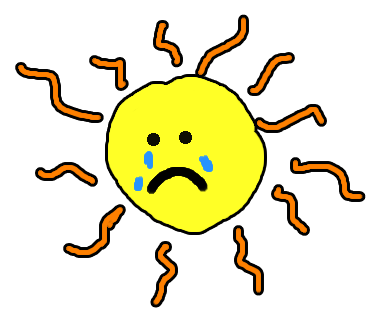 This will help absorb the CO2 created by burning fossil fuels.